Any discussion about cutting edge web design needs to include Pinterest — the disruptive startup has one of the most breakthrough and compelling web designs to emerge over the past few years. That’s why we’re really excited to announce that Pinterest’s CEO Ben Silbermann will be doing a rare interview at our RoadMap event, which will occur on November 5th in San Francisco. RoadMap this year will focus on design in the age of connectedness. It’s the idea that the explosion of big data and always-on wireless connections are making the world so complex, and design, UI and user experience are the keys to simplifying and making meaning of the connected ecosystem. Other speakers at RoadMap include Nest CEO Tony Fadell, Instagram CEO Kevin Systrom, Tumblr CEO David Karp, fuseproject founder Yves Behar, Obvious CEO Evan Williams, and others (more on the schedule and speakers here). 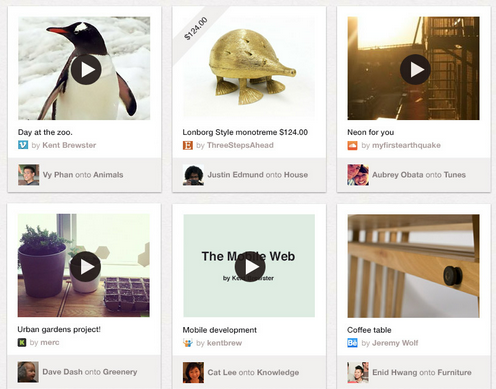 Pinterest is one of those startups that had design baked in from the very beginning. Fast Company published a fascinating article on Silbermann and Pinterest last month, discussing the great lengths that Silbermann took to create an early community based around beautiful images and strong design elements. “The grid was everything,” explained Pinterest co-founder Evan Sharp to Fast Company. Come hear from Silbermann about the future of web design and e-commerce, how he cultivated an early design blogger community, and what he’s learned from leading one of the fastest growing web sites of all time. The Atlantic’s Alexis Madrigal will be interviewing him. We have a limited number of tickets, so get yours here, now!